NIBIO Holt was founded initially as Holt Research Station in 1923 and is the world’s northernmost research station in soil management and crop production. It lies on the western side of Tromsøya, and is in many ways a green oasis in an otherwise urban area. The distances to the centre of Tromsø and to the airport are 2.5 km and 4.5 km. The unique geographical situation, at the very edge of the cultivatable zone to the north, make it possible to study plant growth and plant physiological conditions at low temperatures under constant light day and night during the growing season. A natural task is therefore the development and testing of plant material that can withstand the climatic conditions in northern regions. Breeding trials are performed on contract from Graminor, as well as variety validation trials. The research activity at Holt is wide ranging. Work is conducted on uncultivated land, on land and resource mapping, on effects of climate and on business development. The projects belong to research fields such as landscape monitoring, vegetation and soil mapping, local food, predator conflicts, fodder production and the cultivation of potatoes, vegetables and berries. The 24 employees are attached to 4 Nibio divisions and 8 sections, with wide variation both organisationally with respect to and subject. The scientific production therefore covers a broad range of subjects, but with a strong weighting towards plant science. Important tasks for the future, ranging across all fields of research, are to obtain more knowledge on the quality advantages and innovation possibilities within the northern region, and not least more knowledge about the consequences of climate change (which will be greatest in the north). The Holt property covers 47.2 ha of which 17.4 ha is fully cultivated land, 2.6 ha is rough grazing and 17.9 ha is forest. An arboretum has been established on parts of the forest area in cooperation with Tromsø University. The uncultivated land is also used for outdoor recreation by the town’s population. There are footpaths, an illuminated ski track and a children’s ski jump hill equipped with ski lift. Administration building. This contains offices for Nibio employees, as well as for several related activities which rent office space. Stock-house. The keeping of livestock was discontinued many years ago and this building is now used for storage. Implement shed with workshop and drying room. Kindergarten. This former laboratory building was renovated in 2009 and is now rented out as a kindergarten with two departments. Two dwelling houses. One of these is divided into four apartments which are rented out. Food store (an older building). Contains one apartment and seven bed-sitter rooms, as well as a potato store in the cellar. Stabbur – a traditional Norwegian farm building for storing grain and food. Climate laboratory (phytotrone) with greenhouse. 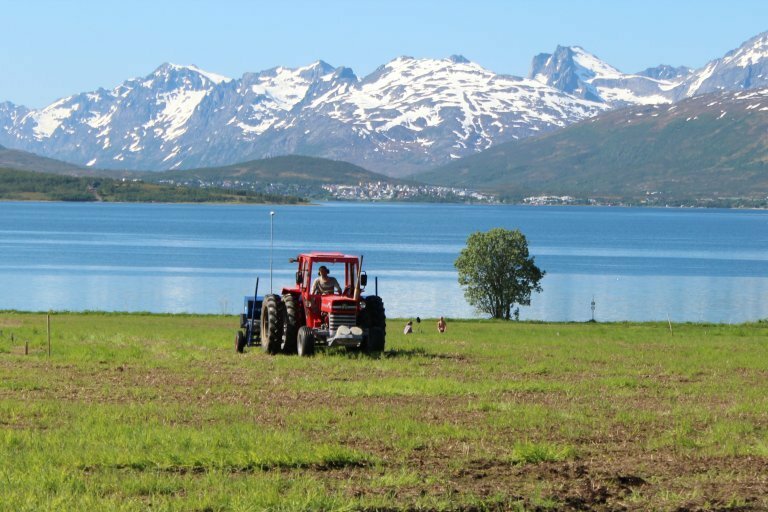 As a result of increasing interest from schools, kindergartens and from the people of Tromsø, to experience and learn about agriculture, animal husbandry and crop production, a foundation was established in 2012, known as Holt 4H Læringstun, with its own financing, to develop and offer such an opportunity. There has been a great response, and the foundation rents an area for school gardens and allotments. Cultivated land for field trials and the climate laboratory with its greenhouse are the most important parts of the research infrastructure at Holt. The trial areas at Holt are too small in relation to requirements and NIBIO therefore also rents additional land from neighbouring farms. The growing season is short, with ca. 140 days and 612 day degrees. Average annual precipitation is 1031 mm (normal period 1961-1990). The climate laboratory is owned by and run in collaboration with Tromsø University – Norway’s Arctic University. It is one of only three such facilities in the country. It provides opportunities for experiments to be performed under controlled light and temperature conditions, which is very relevant for research on plant growth in relation to climate. In conjunction with this, there is a chemical laboratory and a greenhouse. There is a meteorological weather station on the farm, from which data is posted continually on the website yr.no. In addition, frost depth is measure weekly in winter. NIBIO Holt is located on the west side of Tromsøya. It was first established as research farm in 1923. Preparing an experiment in the climate laboratory at Holt. Photo: Tor J. Johansen. 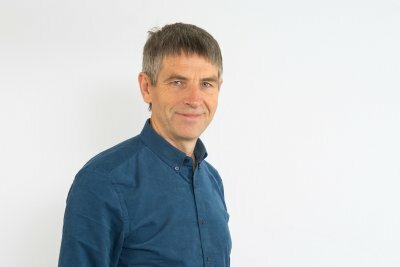 As a result of both political assignments and its traditional interests, the station has a strong focus on the whole region of northern Norway. NIBIO continues its active role in relation to the northern farming sector, and over the years a good network has been built up together with farmer organisations, the agricultural advisory service and the government agricultural agency. Through close collaboration with Nordnorsk Landbruksråd, the station has contributed to active commitments in R&D and to build up the concept of arctic agriculture. 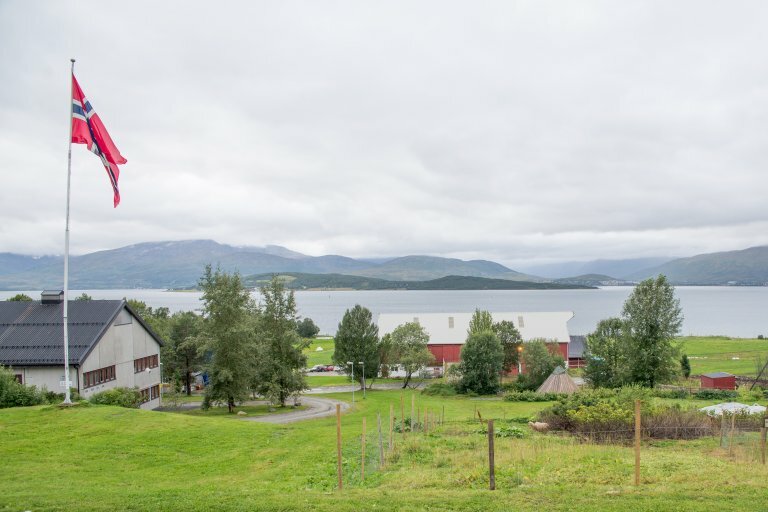 Holt has also for many years held the leadership of a competence network for local food in northern Norway. Upon the establishment of NIBIO in 2015, Tromsø was designated as a mainstay in the northern region. Focus on arctic agriculture will remain strong, and is a great motivation factor for all our activities. The climate laboratory is owned by and run in collaboration with Tromsø University – Norway’s Arctic University. It is one of only three such facilities in the country. 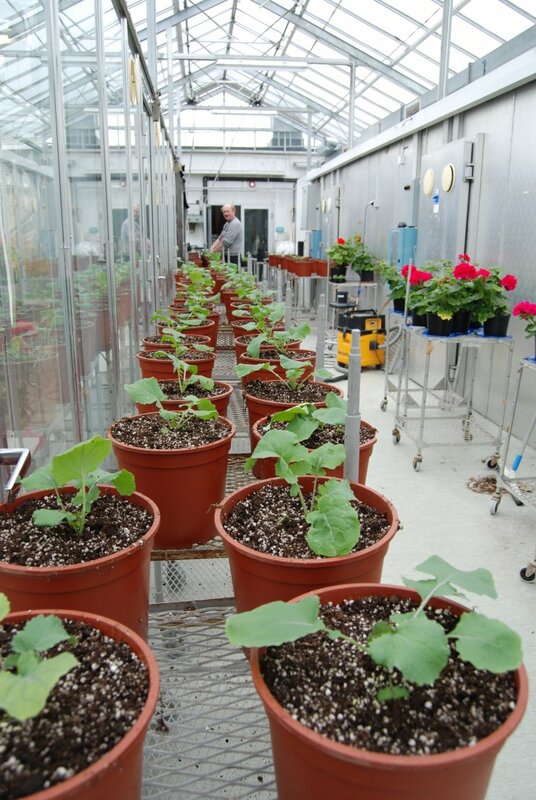 It provides opportunities for experiments to be performed under controlled light and temperature conditions. 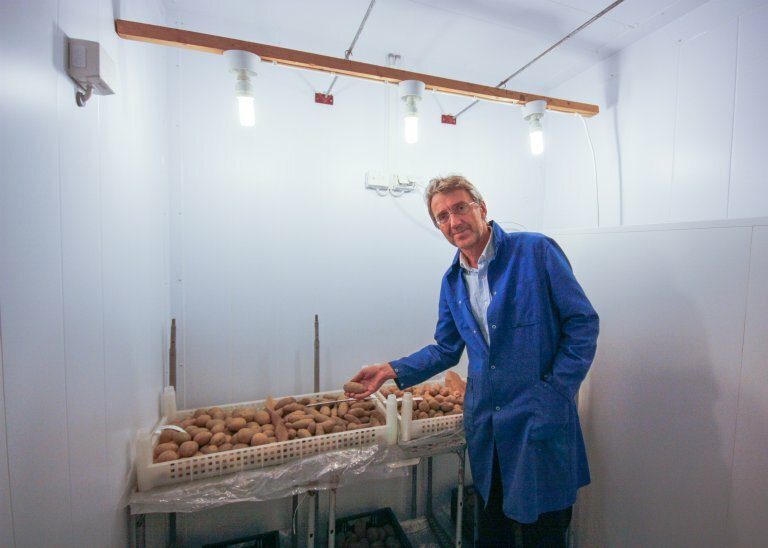 Researcher Tor J. Johansen investigates how seed potatoes can be manipulated to make its offspring look more delicate. Photo: Anette Tjomsland.